After many years experience we understand the process inside out. 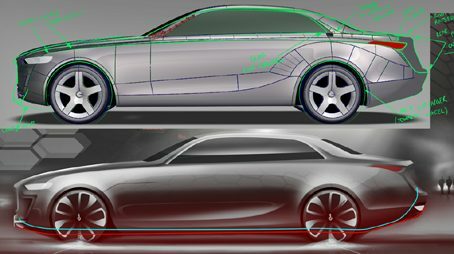 Our designers work with our professional team of Alias modellers to ensure the design intent is maintained throughout the transition to 3D. We ensure our designs meet all current legislation, engineering and manufacturing data release specifications. We maintain a consistent and intimate working relationship with clients throughout the entire process.